After surviving war, violence and the dangerous crossing from Turkey, many refugees and migrants find themselves trapped on the Greek islands. They are forbidden by an agreement between Europe and Turkey from moving to the mainland until Greek authorities have processed their papers and decided on their asylum application. On Lesbos, where I am working as a cultural mediator with Médecins Sans Frontières (MSF), most people are sent to an EU funded camp called Moria. The camp houses over 5,500 people and is severely overcrowded having been built to accommodate just 2,000. The few “lucky ones” live in containers while most live in flimsy, non-insulated, tents, designed for sunny weather. One of the first things you notice when walking around Moria is the number of families with young children: playing with the abundance of rubbish that’s lying around, dodging around the very tight spaces in between each tent, clinging on to their mothers as they struggle up the very steep hills around the camp. Children absolutely everywhere – desperate to play. More and more people arrive in Lesbos every day and are sent to register at Moria. Forty percent of new arrivals are children and 23% are women. As the winter months were rolling in, children were more vulnerable to catching illnesses and infections due to the combination of worsening weather and bad living conditions. In advance, MSF established a specialised clinic for children. Our mobile clinic is built from trucks that have been converted into three consultation rooms and a pharmacy. We register patients and assess the health needs of each child, deciding whether they are able to wait until a doctor is free or if they need an urgent referral. My job is to also facilitate communication between patients and nurses, translating what is said and make sure everything is understood. I stay with patients as they visit the doctor and then onwards to the pharmacy where they collect their medication and explain when and how to take it. A lot of children suffer from coughs, runny noses, diarrhoea, fever, stomach aches and throat aches, the most common illnesses are those you would expect of children during winter. Issues are exacerbated by increased exposure to the elements and parents’ reduced access to preventative measures. 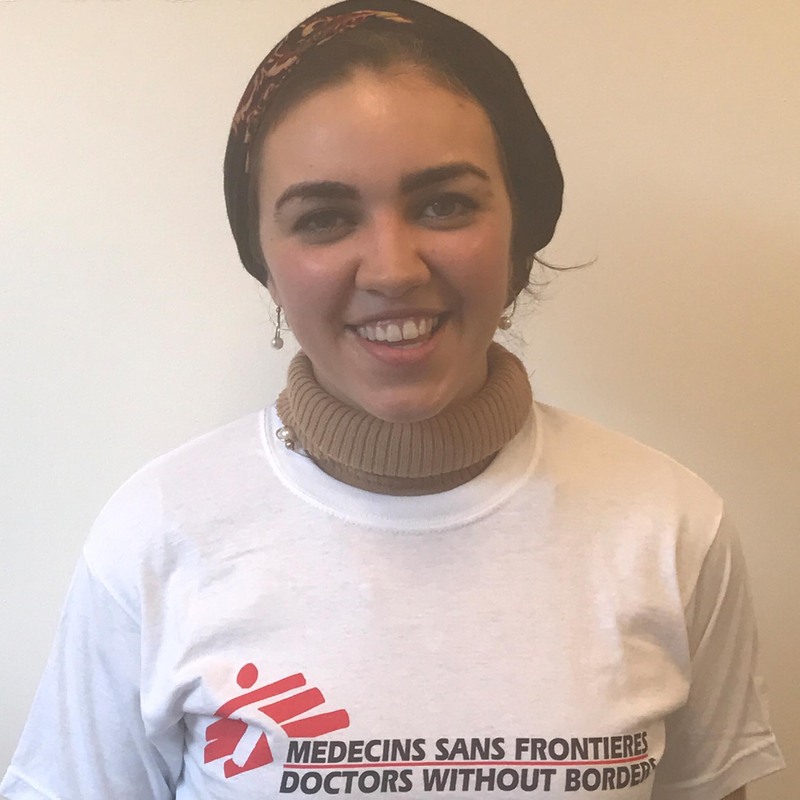 The MSF doctors conduct examinations and provide medical advice and medication. Many parents tell me the only reason they left their countries behind was to provide a better life for their children; they are terribly concerned for their health. One father told me about his decision to leave Syria less than a month ago. Until then, he had refused to leave his country but had to accept it was unsafe for his children. From my conversations with parents I feel that the future of their children is one of the few hopes they have. They haven’t had control over a lot of what has happened to them over the past few years but being able to come to our clinic and get healthcare for their children allows them to regain some sense of control. 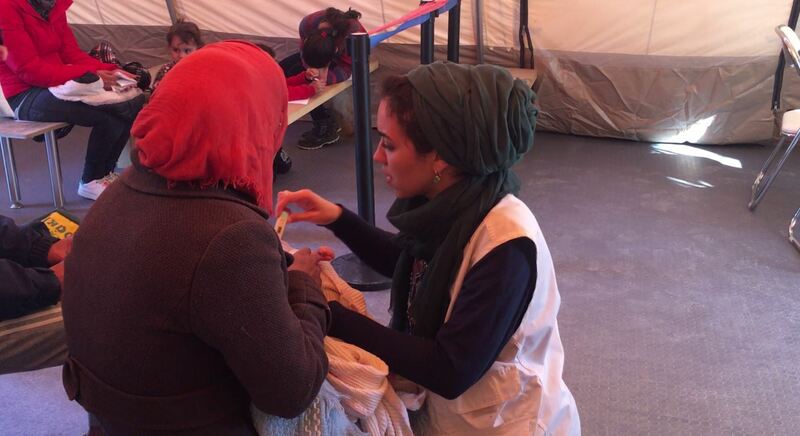 One Afghani woman told us that, “I finally felt treated as a human again”. We make the waiting area as joyful as possible, with a blackboard for kids to draw on, colouring books to stimulate their creativity they may have lost after being taken out of school for months or even years, bubbles and lots and lots of balloons. Before working at the clinic I never truly understood the utter joy that a simple balloon can give to a child. Many health issues are a direct result of the environment the children find themselves in. Worms and head lice are very common and one of our biggest challenges is explaining elements of treatment that aren’t typically thought to be medical, such as changes to hygiene and behaviour that can lessen the likelihood of outbreaks. We also have children who suffer with chronic diseases and do not have the medication they require. Some have never seen a doctor for their severe illnesses or have lost their medication on their travels. 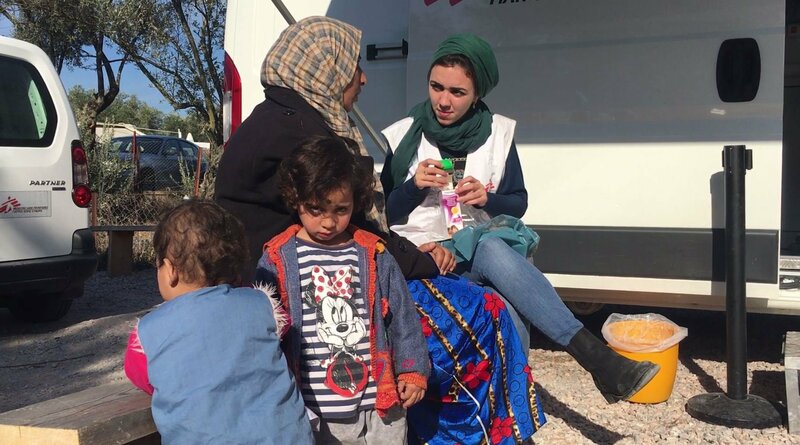 Another major issue are the very young babies, born in Lesbos and may not have had any vaccinations. The heavily overcrowded camps are the perfect conditions for outbreaks of viruses such as mumps and measles. In a camp where unbearably long waiting times cause grief for concerned parents, MSF’s childrens’ clinic is so important because we provide medical care and allow parents a safe space to express their concerns. Though we provide primary medical care for the children, they desperately need to move on to a better environment. They need to get out of here as soon as possible because as long as they are here, illness is inevitable. For now, we continue doing as much as we can, with a big smile and balloon in hand.